I’ve been getting a lot of questions regarding the type of coconut milk I use. The SCD and GAPS diet prohibits any kind of gums or stabilizers. Unfortunately, storebought coconut milk–in cans or cartons–usually lists guar gum or xanthan gum on the ingredient label. Additionally, canned coconut milk often comes in BPA lined cans. Many people make homemade coconut milk for a SCD and GAPS legal coconut milk option. I don’t have time to milk a coconut. I tried making homemade coconut milk once, but it was not something I wanted to devote time to every few days. Thankfully, Trader Joe’s came to the rescue. This crunchy health food store with a cult following offers their own brand of canned light coconut milk (but unfortunately not a full fat variety). It contains only coconut–no gums or fillers. I have contacted the company to double check that they don’t put anything else in it. And, according to Mark’s Daily Apple, the cans do not contain BPA. The best part? It’s only a doller per can! Just be sure to call the store ahead of time and ask if they have the canned coconut milk in stock because they sell out quickly. If you don’t have access to a Trader Joes, you can order Natural Value Coconut Milk or Natural Value Lite Coconut milk from Amazon. It is pricey, but contains no fillers or gums. Natural Value is currently switching all of its cans to BPA free. 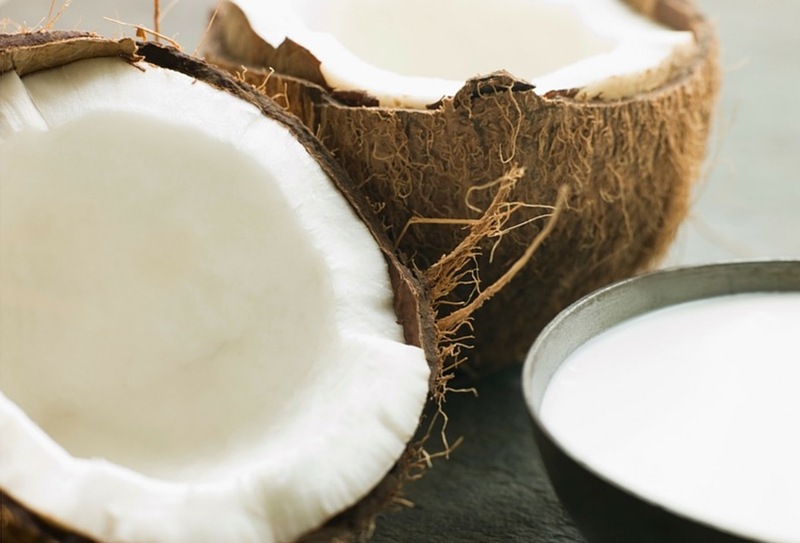 How do you make coconut milk? I’d really like to know. It’s “creamed” coconut, ingredients: organic coconut. They say you mix it w/ a bit of hot water to get “milk,” or a thinner texture. I wonder if this is better than coconut “extract” + water? Or perhaps the same thing? There’s Blue Dragon company that only have Water & coconut water listed in their ingredients. I e-mailed them to double check nothing else is added. However, I did find online that they put certain emulsifiers. They are all legal except the polysorbate 60. I don’t know if the 60 is legal, I just know that the Polysorbate 80 is illegal. If you don’t want to take any chances, then go with the Light coconut milk, it does not contain the polysorbate 60. Then again, Elaine said in a post in pecanbread.com that Poly80 isn’t the worst additive out there. My GOYA coconut milk lists Potassium Metabsulfite as a preservative. Have no idea what that is and whether it’s bad or okay. Any thoughts?